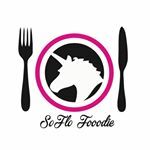 SoFloFooodie originally started by us sharing our homemade creations. More recently, we have once again started to create and share more delicious homemade dishes, and sweets. After many requests, we have decided to add recipes right here to our website for easy access. Check back frequently to see what we’ve been up to in the kitchen!